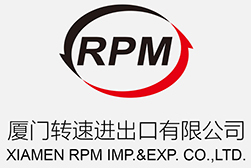 Rimpex Rubber supplies Fluorine Silicone Elastomer FE2800, China origin. Fluorine Silicone Elastomer FE2800 series are copolymerization fluorinated elastomer with methyl-3,3,3-trifluoropropyl siloxane as basic structural unit. Fluorine Silicone Elastomer FE2800 series colligate excellent performances of fluororubber like oilproof, chemical corrosion resistant and properties of silicone rubber like pliability at low temperature, high tensile retentivity at high temperature. Fluorine Silicone Elastomer FE2800 series are widely used in various industries like space navigation, communications and transportation, petrochem, medical health, etc. Fluorine Silicone Elastomer FE2800 series are classified into three grades according to different molecular weights. Colorless or light yellow translucent colloid, non mechanical impurities. Space Navigation Industry: Seals with performances of fuel oil tolerance, lubricant oil tolerance, such as various O rings, diaphragm films, filling chips, integral tank airproof seals, etc. Autocars Industry: Various vehicles' packing rings, oil seals, diaphragm films, ductals, valves lining, etc. Petrochemical Industry: Airproof rubber products with performances of high and low temperature resistant, anti chemicals erosion for various pumps, valves, oil tanks, etc. Medical Health: Used in medical apparatus and artificial visceral organs such as medicinal ductals, drainage tubes, artificial valves, etc.